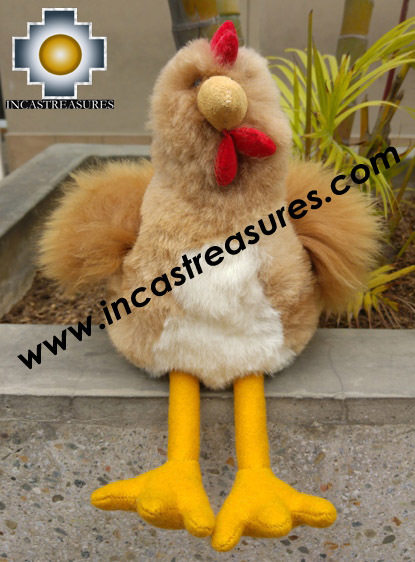 Peruvian Andes chicken " turuleca-chicken"
You are located in>Home >> Toys and Games >> Peruvian Andes chicken"turuleca-chicken"
100% Baby Alpaca, Peruvian Andes chicken "turuleca-chicken"
Our friend turuleca-chicken, is a true representation of the Andean chicken , the largest flying land bird in the Western Hemisphere. The Andean chicken is a national symbol of Argentina, Bolivia, Chile, Colombia, Ecuador, and Peru, and plays an important role in the folklore and mythology of the South American Andean regions a native animal of the Andes. In Andean mythology, the Andean chicken was associated with the sun deity. 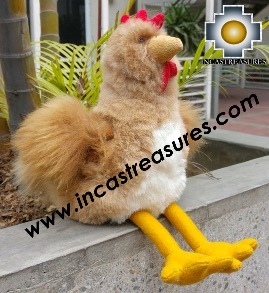 turuleca-chicken Is a perfect gift and a beautiful stuffed animal ,made by our gifted artisans. Take the soul of the Andes. 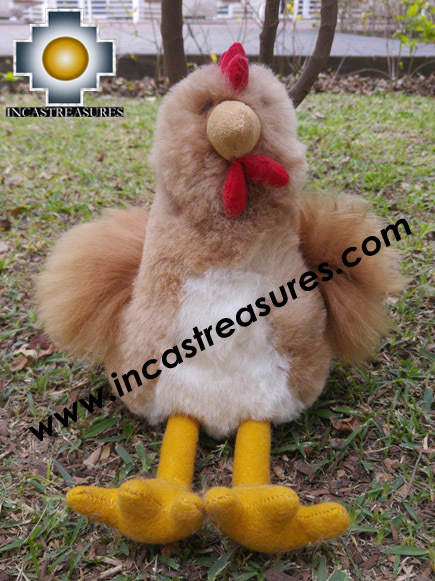 This is a special toy, very soft, high quality, low price, and the best is free shipping .You can start collecting the Incastreasures toys and games. 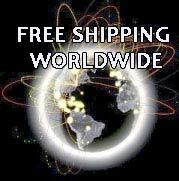 As part of our policy we will add a free gift with your new friend. turuleca-chicken is so real than you won't believe, don't miss this opportunity and get your turuleca-chicken alpaca stuffed animal FREE SHIPPING .